Anna V from the BERNINA store Say It With Stitches in Sarasota, Florida shares a bit about her special take on Erika Mulvenna’s Sunrise Baby Quilt Sew-along here at WeAllSew earlier this year. 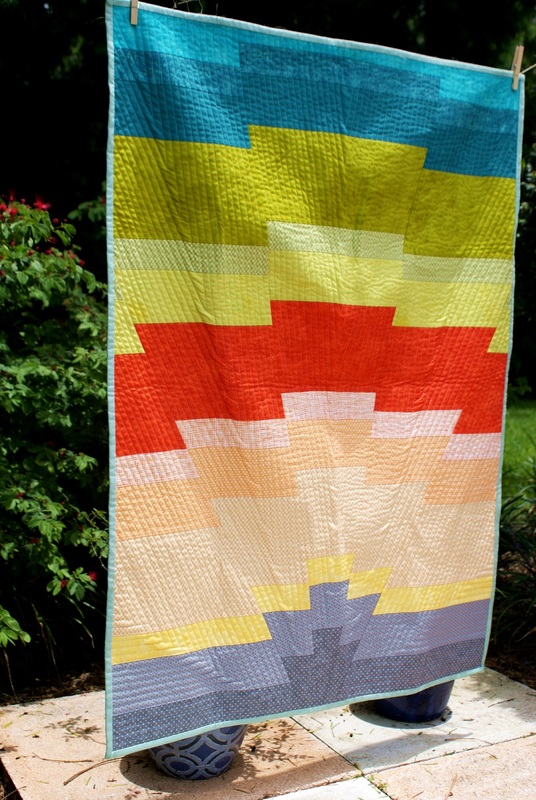 Earlier this year I joined Erika’s We All Sew Sunrise Baby Quilt Sew- Along! 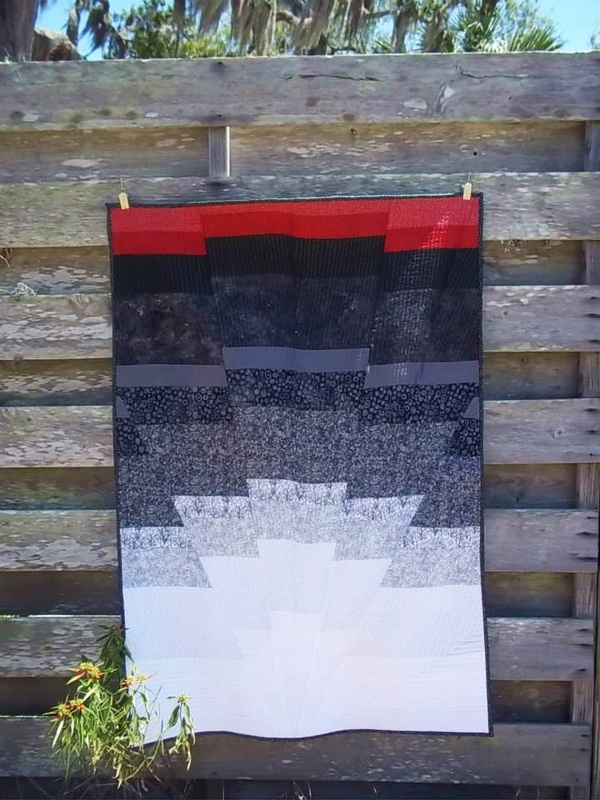 When I saw the first blog about Erika’s quilts I was blown away. So pretty, I thought, and super unique. What a cool twist on a Bargello! So, when she announced the Sew-Along I was in. As I was picking out fabric, I decided I would make this for the BERNINA dealership I work in, Say It With Stitches. So the only natural choice of colors was black, red, and white with some gray for better flow. As I followed the sew-along each week and made this “sample,” I kept thinking this would be a great beginner quilt for new quilters. Well, if anyone knows Sarasota in the summer, it is d.e.a.d. here. So I only had one student, Rachel, who is going to be an awesome quilter in the near future. That girl has an eye for color! Well, we had a blast! Rachel was making this for her sister’s new baby. Her choice of teals, greens, peaches, and greys blended so well it is a soft explosion of color that any baby would love to roll around on! Well… thanks to Erika’s Sunrise Baby Quilt Sew-Along we have brainwashed another unsuspecting person into quilting! Thank you, Erika, and thanks to all of you reading this!